Well, the curse of VeganMoFo has struck again. All well and good, I'm simply blogging this year without the pretty little banner acknowledging my efforts to promote a month of good, tasty vegan food. And two days into the month of food, yes, quite possibly because I dared utter that 'MoFo word... my computer dies a sad, lonely death. Taking with it, about 500 great foodie pictures I hadn't "bothered" to back up. Yes, pictures of family, friends, birthdays and Aunt Hilda's bunions are all safely stored away, but food pix? Nope. They've gone to that great cyber-graveyard in the sky along with the hard drive and who knows what else. Fortunately I have a guy. A computer guy. Well, OK, a scrawny 14-year-old hooligan who can fix A-N-Y computer... seriously. (I do NOT want to know what places he's hacked into, but if the FBI should be looking for him, I won't reveal his name here for the blogger world to read...) Anyway, said teenager is repairing my computer as I type this. Big-Name-Store looked at my poor dead computer and said it would take them three to six weeks, and about as many hundreds of dollars... poo on them. I don't need a squad of geeks, I have a guy. But while I wait (he had to order a part) I'm stuck using my Sprouts' computers (which are MUCH nicer, faster and cooler than mine, AND which I paid for, incidentally, so I feel I CAN use them once in a while without TOO much guilt...). And since I'm not using my own computer, I don't have any recipe notes or great food photos to show you.... sorry about that. I will continue to blog, however I personally think blog posts just aren't as entertaining without a photo or two, right? Hmmmm... makes me wonder what photos my kids DO have on this machine? OK. I'll leave you with a couple photos. Since this blog IS about vegan food and all, especially this month, I'll proudly show you some great examples of kids who are growing up extremely healthy AND vegan/vegetarian. (Vegan at home, vegetarian out, but we won't quibble) The photo at the top of the post is my middle "Sprout" (and me, ignore me) at her Graduation this past spring. 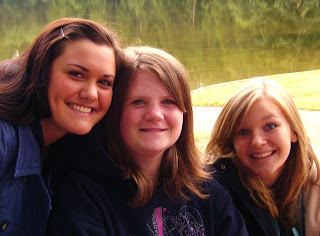 The photo below, is my oldest, (center) with two of her friends - also vegetarians! Aren't they beautiful? (OK, I'm a Mom, I can't help myself). Seriously though! Who says we're anemic, pasty white and sickly thin? More than any food idea or photo or recipe I've come up with, this is the accomplishment I am most proud of. Happy, healthy, well-adjusted veggie kids! Yes, I'll be back to post about food, because I love sharing that with y'all, but it's my kids who are my worst critics and biggest fans, and it's ultimately them who I am cooking and creating for! It never fails to amaze that some sections of society are so anti vegetarian children yet have nothing to say about the increasing number of obese children and their parents who see nothing wrong with feeding their children practically every meal from a fast food restaurant or some processed crap. oh tofu, i'm sorry! i'll send some healing juju for your computer. 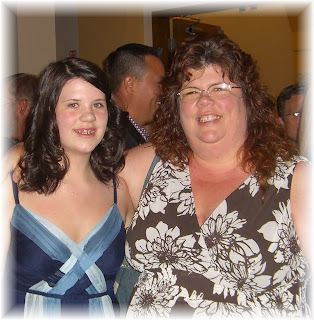 i also love your blog intensely and think you are one of the most rockin' moms EVER. seriously, i think i might have not had to go through so much bad crap as a teenager if i had you around back then. but back then, we might have been the same age. First...you have pictures of your Aunt Hilda's bunions?! Second, hooray for healthy, well-adjusted veggie kids! Well, at least you still have your photos of Aunt Hilda's bunions! In all seriousness, though--I am SO sorry! I have a horrible love/hate relationship with computers. I don't have a computer guy, so I am constantly frustrated by them, and I feel your pain! I hope he gets it all worked out! Sorry about your computer! You just made me want to back up all my pictures (and I have so many!). OMG your girls have such a beautiful, healthy glow! Take that vegan bashers!! Thank you so much for the extremely sweet comment you left on my Halloweegan post! It's been so exciting to see how others are inspired by my food! Who would have thought?! Congrats on raising veg kids! That's so awesome! Although I made the switch at an early age (14), I do wish my parents were also vegetarians and had raised me that way. I hope your computer problems are a thing of the past. Oh, and your sprouts are amazing examples of a veggie life! Good job, Mom! Hello. My name is Edgar and I'm an editor at OpposingViews.com, the debate website. Since we both cover vegetarianism, veganism and health, I thought I'd drop you a note. I would've e-mailed you but I couldn't find an address. I love your blog! Finding veggie dishes that my omni family will like was more difficult without your help. chicken pot pie is one of hubby's favs, but he's willing to try a vegan version - thank you! I've given you an award! Come see me for details.